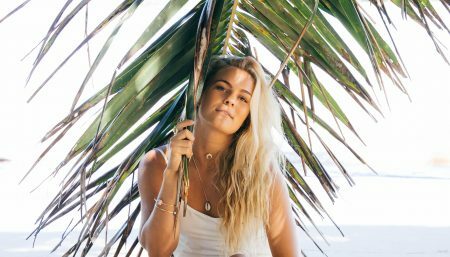 Tia Blanco is a professional surfer who won the Gold medal at the International Surfing Association (ISA) Open Women’s World Surfing Championship 2015 and successfully defended the title by winning the 2016 edition. As Tia prepares to compete at the 2020 Tokyo Olympics, Women Fitness’ President Namita Nayyar spoke to her about hitting those killer waves with utmost confidence and living the vegan life. Surfing to me translates to freedom, self love, and commitment. It is a part of my life and has been since I can remember. It is as much a part of me as anything else in my life. Do you like working out indoors or outdoors? Both! I love being nature, but I also love being cozy in my own home.